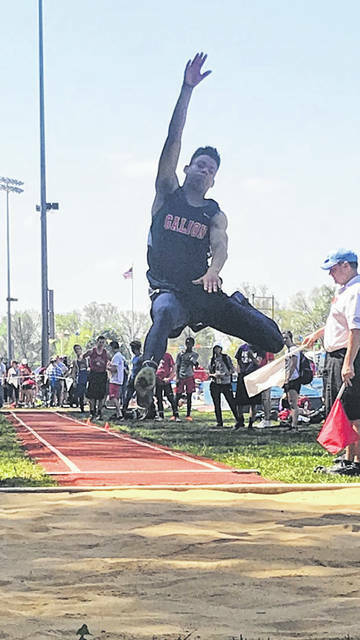 LANCASTER — Galion’s Hanif Donaldson lived up to his billing Saturday during the 2018 Ohio High School Athletic Association 7th and 8th Grade State Track and Field Championships. Donaldson entered the state meet as the No. 1 seed in the state and proved that ranking correct. He won the state championship with a 20-foot performance. 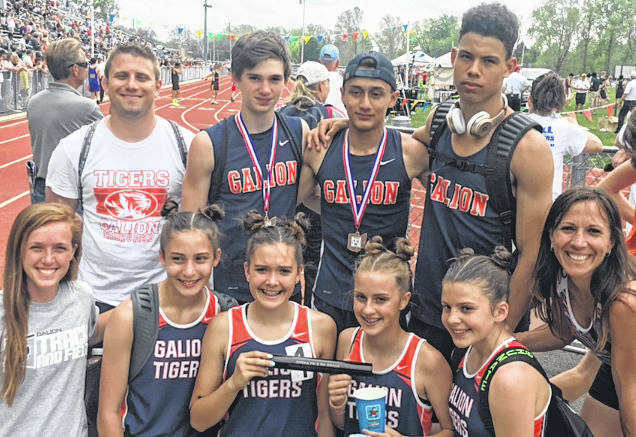 He was one of eight Galion Middle School trackers taking part in the state meet at Lancaster High. By the end of the day, the young Tigers also broke two school records. Donaldson was the anchor-leg to the boys 4×100-meter relay team. 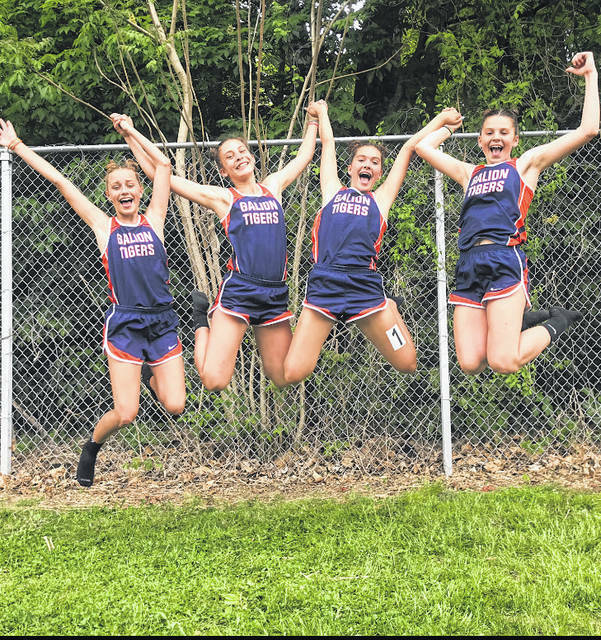 Joined by fellow eight-graders Andy Sparks, Jon Strickler and Jordan Borders, the orange and blue foursome entered the meet as the sixth overall seed with a time of 47.29 seconds. 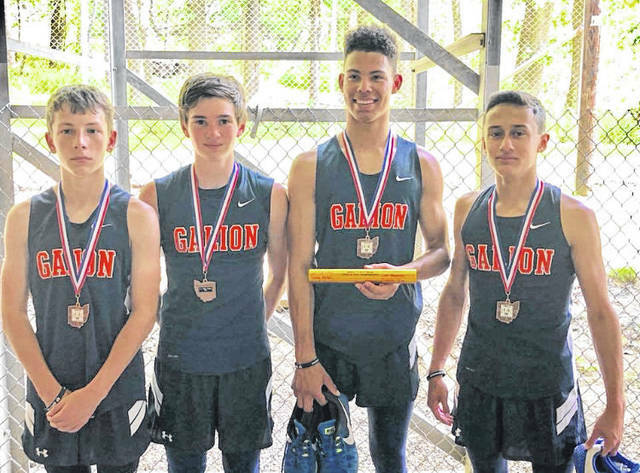 In competition on Saturday, the boys would break the school record, finishing in 46.52 seconds and finding themselves on the podium as the fourth-place finisher on the day. The Lady Tigers’ 4×400-meter relay team of Isabelle Slone, Ava Smith, Leah Shumate and Zaynah Tate already owned the school record and were able to make it into the field of 16 at the state meet with the final seeded time of 4:29.79. On Saturday, the Tigers would break their own record and move up in the standings, running the event in 4:27.54 to earn 12th place overall. Congratulations to Hanif, Andy, Jon, Jordan, Isabelle, Ava, Leah and Zaynah on their finish to their 2018 track season. Back row is Coach Williams, Andy Sparks, Jon Strickler, Hanif Donaldson… Not pictured is Jordan Borders.